Born a slave in Woodland, Alabama, Beard was emancipated at the age of 15 and married at 16, Beard became a farmer near Birmingham for a few years, later working as a carpenter, blacksmith, railroad worker, businessman, and prolific inventor. Beard built a flourmill in Hardwicks, Alabama. 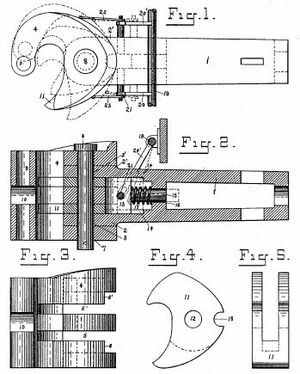 In 1881 he patented one of his plow designs, selling it in 1884 and inventing another plow in 1887. In 1889, Beard invented a rotary steam engine that he patented in 1892. During work on his rotary steam engine, Beard began to experiment with the idea of an automatic car coupler for railroad cars. After losing a leg during his own work on the railroads, Beard wanted to make the dangerous task of coupling cars safer. He invented a coupler for railroad cars, also known as the “Jenny” coupler, which was patented in 1897. Beard’s life from 1897 until his death in 1921 is unknown. This page was last edited on 13 January 2016, at 21:39.